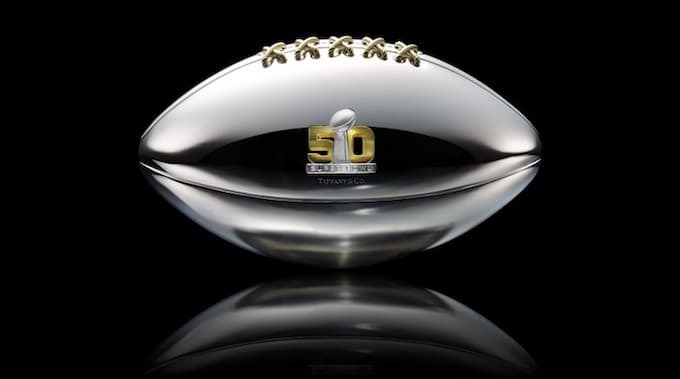 The 50th Super Bowl is just on the horizon and to celebrate the occasion, the Council of Fashion Designers of America (CFDA) teamed up with the NFL to have 50 designers craft custom footballs to be auctioned off for charity, with all proceeds going towards the NFL Foundation. They're all available for bidding now through February 14th. Some designers went with basic modifications like swapping out materials or changing the color scheme, leaving the ball itself in roughly the same shape it started, while others really explored, adding decorative gemstones, metal studs and a bunch of other fashion-y details. Which led us to ask, "Which ones would we actually be able to play football with?" and "Which ones would rip our hands off if we attempted to catch them?" We went through all 50 and picked out the 10 best and 10 worst CFDA NFL footballs based solely on how difficult (or easy) they would make an actual game of football. Because obviously fashion is supposed to be practical, right?